Jelani Eddington continues his series of theatre organ arrangements! This handsome, spiral bound book includes an in-depth discussion of the basics of theatre style. 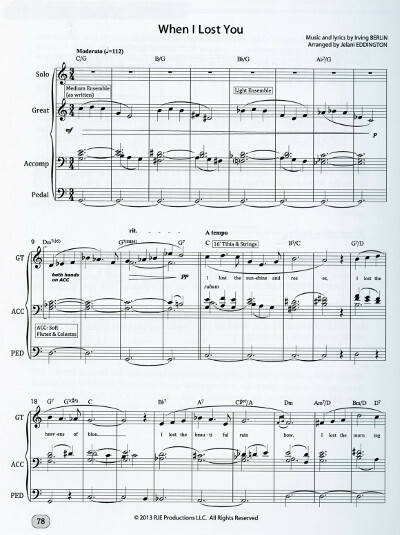 Sheet music examples of five popular tunes have detailed notes about each arrangement and how it was written. Beautifully printed scores make up most of the volume. An extended set of appendices provides a glossary, charts of scales, harmonizations and fingerings, as well as a catalog of essential theatre organ registrations in useful chart form.